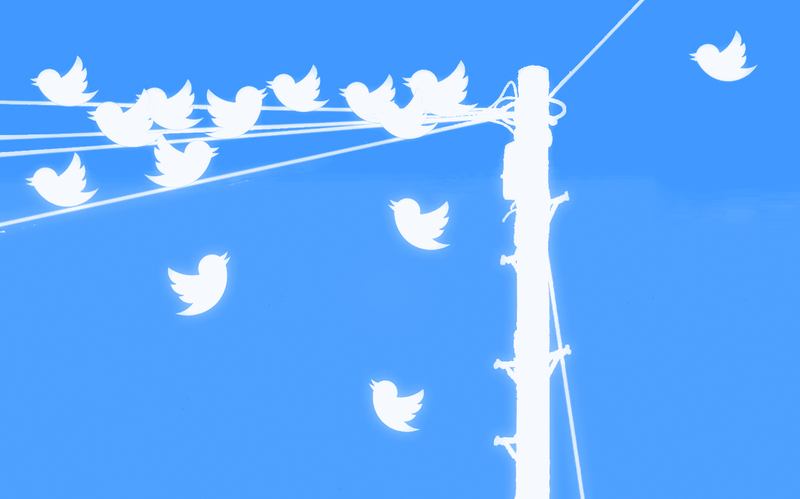 How 10K helps Twitter move closer to its roots, and why it isn’t a concession to brands. A few weeks ago, re/code broke the likely-true rumor that Twitter is set to expand its character limit, potentially up to 10,000 characters. A #Twitter10K storm emerged in the aftermath as — irony of lamenting social media change notwithstanding — both Twitter users and opinionators flipped out. It’s understandable: Twitter’s 140 character limit has formed the bedrock of engagement on the platform for nearly a decade and is perhaps our greatest symbol of the concise, fragmentary nature of online dialogue today. But in my opinion, Jack Dorsey’s alleged move to create Twitter 10K is brilliant. Far from trashing Twitter, 10K would help it redeem the lost value that it duly deserves — as well as bring it closer to its founding principles than at any time in the past eight-ish years. In every sense, Twitter already functions as if it has a 10K character extension, just one that’s hosted elsewhere. In that way, this represents a logical, necessary step — one that’s good for Twitter, as well as for its investors, brand partners, and users. Aside from the “Change is bad!” backlash, the primary arguments against 10K stem from fears that it will 1) create a network where everyone shouts and nobody listens (as parodied by The Guardian) and 2) damage clickthrough rates and ROI for advertisers. Others see 10K as either a “desperate” attempt to promote user growth or a massive concession to brands. Above all, there’s a consensus that trolls will continue to ruin Twitter (as outlined by Marketing). The blogosphere has also rightly identified some benefits: 10K will not, thank god, change Twitter timelines; users already want longer tweets, hence the screenshotting trend (Dempsey’s announcement was, of course, screenshotted); 10K will fit nicely into Twitter’s already-successful card ecosystem; and it will likely increase Twitter visibility in Google search. In general, 10K is being pegged, for good or for bad, as a decided move away from Twitter’s core. But I disagree. One, unlike on any other platform, Twitter users (especially business users) can connect with virtually anyone, with no prior contact info needed (email, friend request, or otherwise). Many careers and online followings are owed to this fact. And two, Twitter generates prodigious amounts of exit traffic to news media, content-hosting sites like Medium, brands, and even Facebook and Pinterest — it’s the “Google” of social content. Unfortunately, Twitter retains very little of this immense value it provides to the internet, and is rarely recognized (or reimbursed) for being an originator of content and social relationships. Why? Other startups have exploited Twitter’s 140 character limit and are reaping the content traffic that Twitter — by virtue of this design limit — “opts out” of. And they’re getting rich in the process. In this light, making the move to host more content on Twitter, via 10K, is entirely logical and should, in fact, have been expected. Tech giants constantly morph to meet market needs — why should Twitter be faulted for reclaiming the value it provides? And materially, this is how the company already functions. Today, the primary reason brands use Twitter is to generate exit traffic (haunted houses should strive for such a model), which has skewed our definition of “valuable” or “newsworthy” content in the direction of clickbait, emotional targeting, and incendiary engagement. While linked content may (or may not) be valuable to a user, the tweet itself is worthless. For users, this creates a poor and mistrustful experience — nothing ever does what it says on the tin. In other words, clickthrough isn’t always a good measure of informational value. Twitter 10K simply alters the dynamic so that users can access valuable content within Twitter’s garden walls, so to speak. This grants users and Twitter the use-value that is so clearly due to them. This is because — make no mistake — the most valuable and interesting Twitter experience is a native one. In my opinion, the high-water mark of the Twitter experience was in 2007, with the @CNNBRK account. CNNBRK never tried to generate exit traffic, and instead digested entire articles into one mercifully short tweet — no click needed. “Click if you like, but you can trust me at my word,” CNNBRK seemed to say. The strategy holds true for all brands and advertisers. Creating a high social value naturally leads to consumer follow-on. That is, we discover brands on social media, and when we search for them by name — from memory — it’s because we like them, not because they swayed us to click. Coincidentally, need-to-know information is what brands tend to be worst at conveying, and 10K gives them a space to generate inherent news value in any niche industry. And that’s not to mention the mutually-beneficial relationship this will create between SEO and social. All that said, I firmly believe that 10K isn’t a concession to brands — it’s a return to Twitter’s true roots. Today, Twitter’s card ecosystem best encapsulates the guiding principle of Twitter — that a fragmented, searchable public platform creates the most value for hyper-personalized users. As in, people can easily find a host of like-minded users and share tons of information about things that interest them, even amid the chaos the platform inspires. Such posts will never interest every Twitter user, but they will always draw the attention of a notable segment — that’s the power of fragmentation. This will have a tangible business impact in places like investor relations; today, most investors find public information about a company on its website, and have to already know where to look in order to find that information, which is a not-so-great model for attracting new investors. With 10K, a quarterly update can be posted to Twitter and potential investors with hyper-personalized interests are almost guaranteed to see it. Otherwise, IR professionals have to pitch these stories to trade press and national publications, who tend to show little interest because these stories are standard, hook-less fare. In fact, Twitter’s core use value is stronger than that of even Facebook. While Facebook is now pivoting to offer more brand messaging — and has been successful in doing so — it’s still ultimately a place for family and friends, and more intimate by nature. Twitter is the public forum de rigeur, and 10K allows it to double down on that position. If it wasn’t yet clear, I think Twitter 10K would (will?) be a really good thing. While there’s been some uneasiness about their recent restructuring (as seen with some executives heading for foreign waters), this is exactly the kind of invigoration that Twitter needs at this juncture. When Twitter was started, it was designed to function like an on/off light switch for the internet; according to your interests, you could turn on some areas while shutting off others. To that end, a massive developer community began to emerge, finding ways to make Twitter as radically personalized, and hence useful, as possible. Twitter turned its back on that trend by standardizing its use, and in doing so, placed artificial limits on its fundamental strengths — the 140-character limit included. (Though, in fairness, it was originally 160 characters, for other reasons). It’s time for the platform to open up again. Indeed, Research is showing that fragmentation and personalization are trends that we should expect to see with increasing regularity, which means we should begin experiments with hyper-personalization now. Twitter 10K is a step in the right direction, solving a problem that the media has always struggled with: how do you target specific and mass audiences simultaneously? On Twitter, the audience comes to you. I believe that Twitter was never broken. We just needed a clearer idea of what it is that the platform does. And what Twitter does is remove the barriers between us and the people and things we like. Jonathan Allen is the President of Longneck & Thunderfoot, a brand publishing company and which is part of the Columbia Startup Lab, an incubator program based in New York City. Formerly, Director of Search Engine Watch, Jonathan has spoken at the largest digital marketing conferences in the world and provided search marketing industry commentary on breaking news for the BBC, the Boston Globe and Deutsche Welle. In May 2012 Search Engine Watch won the Gold Azbee National Award for "Online Excellence, New or Relaunched Web Site" from the American Society of Business Press Editors. An early player in mobile social media, Jonathan is also co-founder of Moblog: tech, a pioneering tech company that created a smartphone photography platform that played a notable role in the emergence of citizen journalism. The community; Moblog, won the Experimental and Innovation Webby award in 2009 for its collaborativemapping project with Shozu, and Moblog:tech’s build of Channel 4’s Big Art Mob won the MediaGuardian Community Engagement Award (MEGAS), the Royal Television Society’s On The Move Award and 3 BAFTA nominations. Feels to me that you’re making the same mistake as the developers of Twitter, and that you’re not looking at the how this will drastically change the user’s experience and enjoyment of the product.